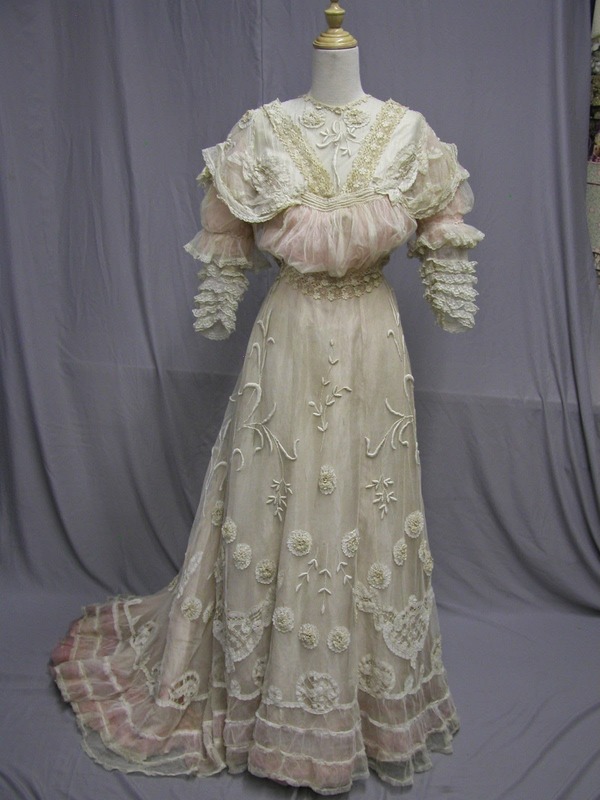 2, Totally Delicious Cluney Lace Reception Gown 1906: Ivory lace gowns like this are getting harder and harder to find. There is a good market for this type of garment. Current hourly wages make this type of work so expensive that it would be far above most of our budgets. 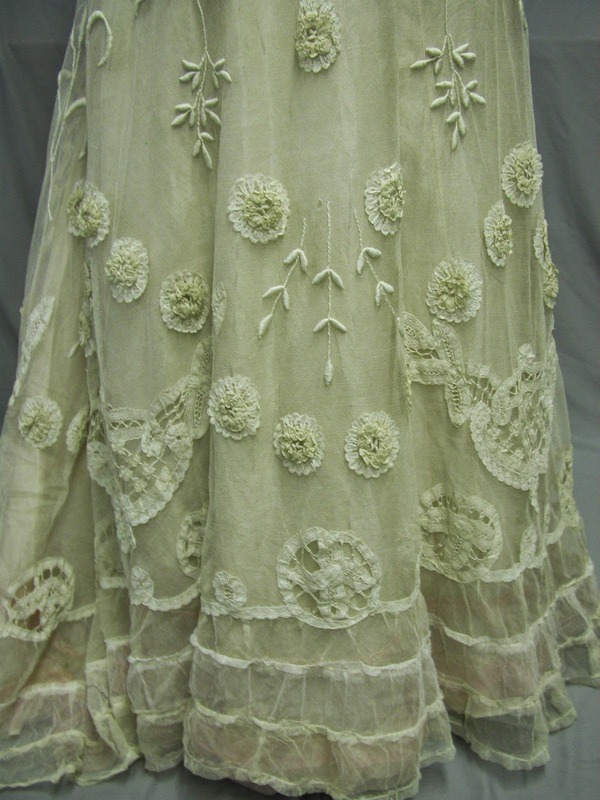 That is why buying vintage is so wonderful. 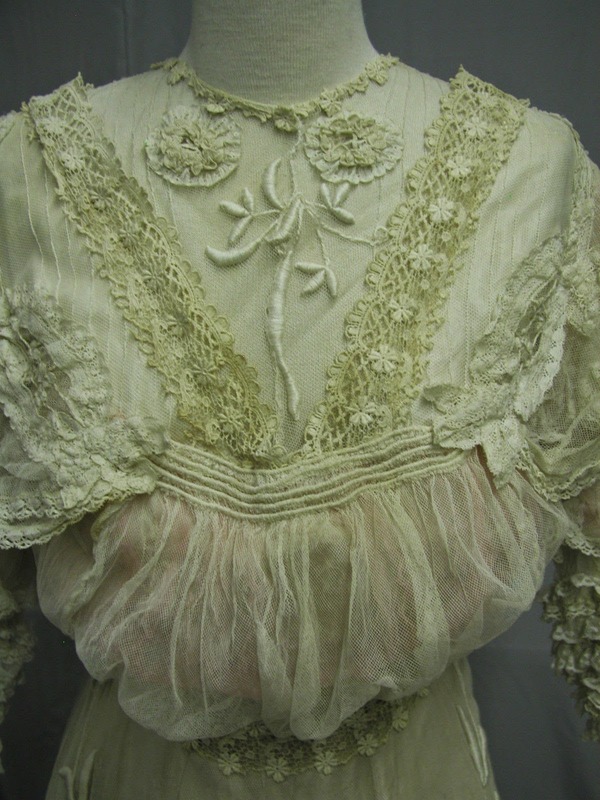 This gown is made of cotton netting with Cluney lace flowers and embroidered vines. While the dress is far from perfect it is truly divine. 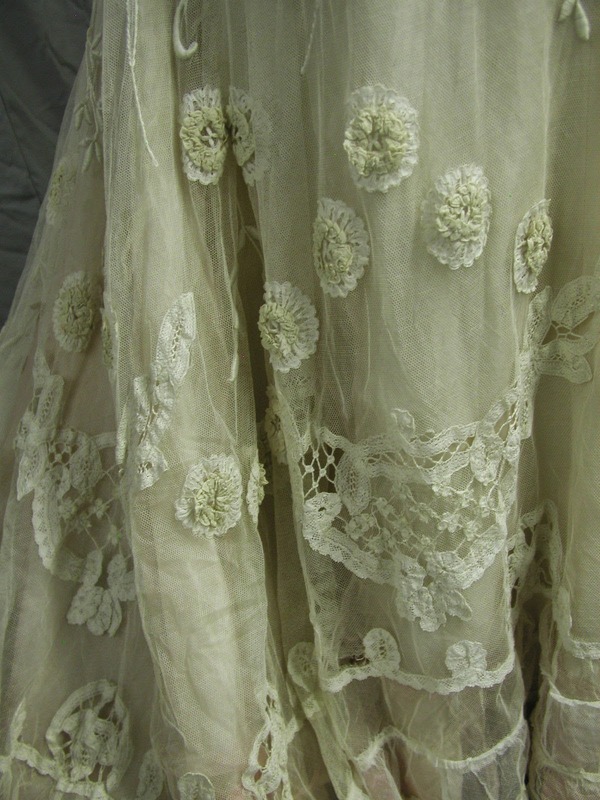 The lace generally is in good condition with some small breaks and some light stains. Under the arms there is staining and loss of netting at these places. 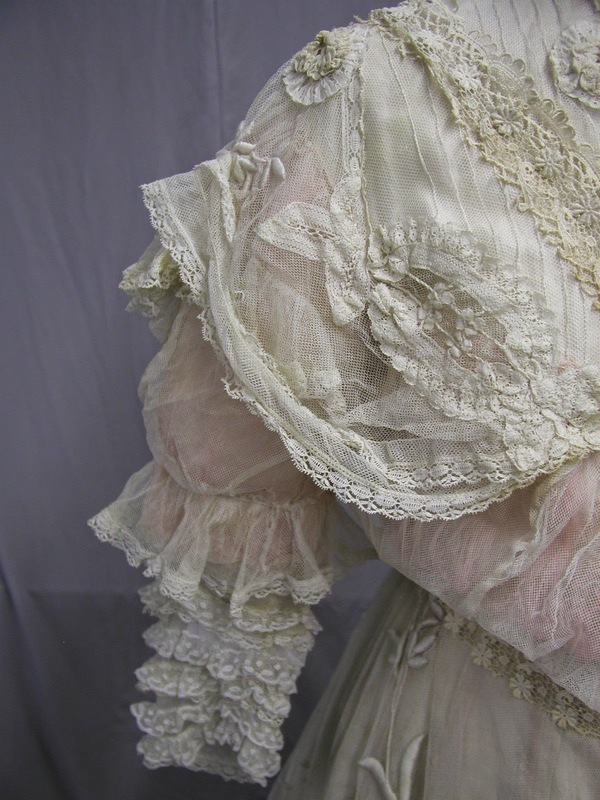 The under slip of ivory and pink and peach is shattering and would need to be replaced to make this wearable. 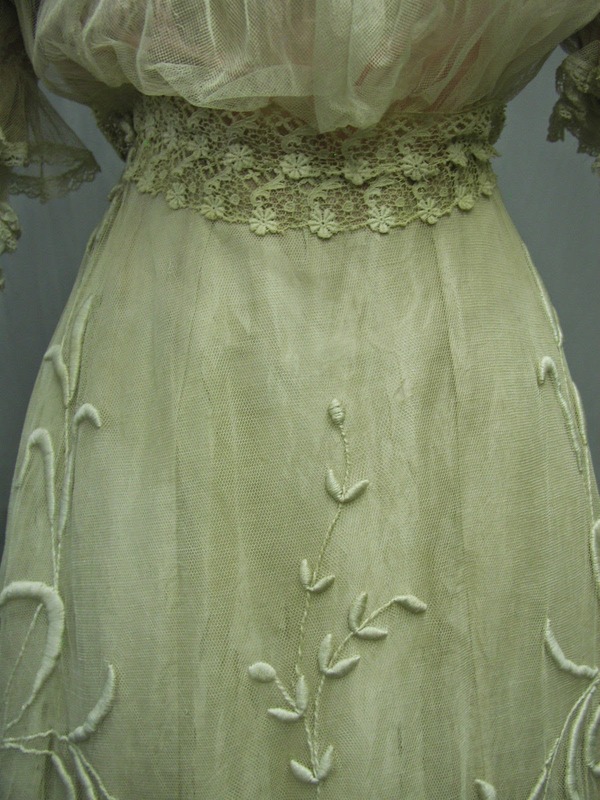 A talented seamstress could turn this back into a very wearable dress. 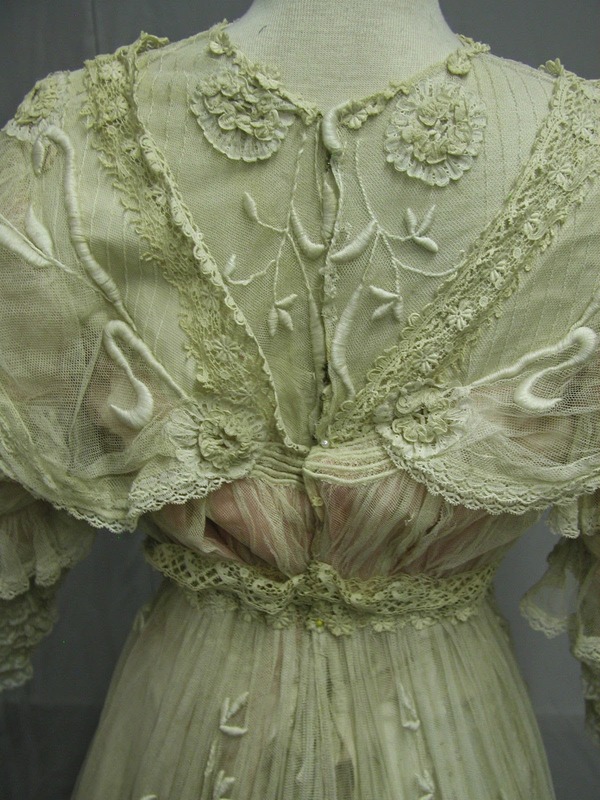 The lace needs to be tacked down around the waist and on the yoke of the bodice. 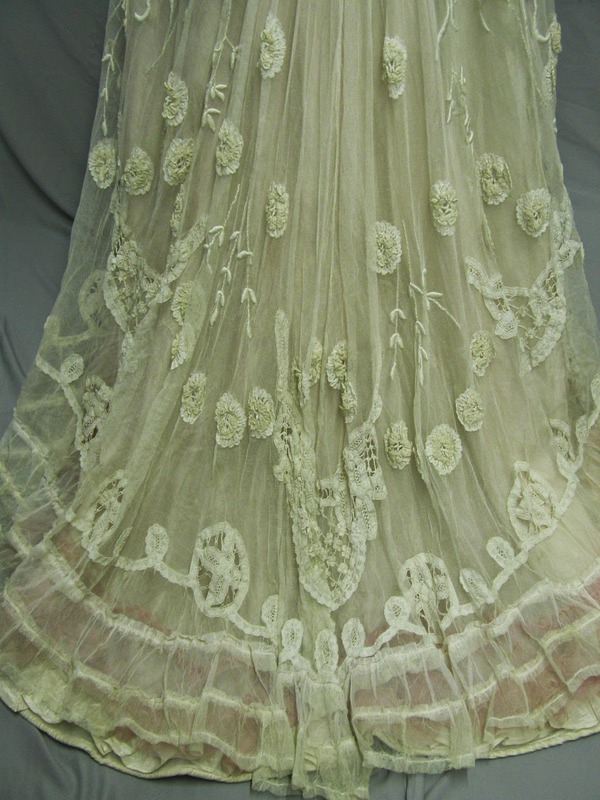 At recent auctions Couture houses, designers and brides fight over these handmade laces. 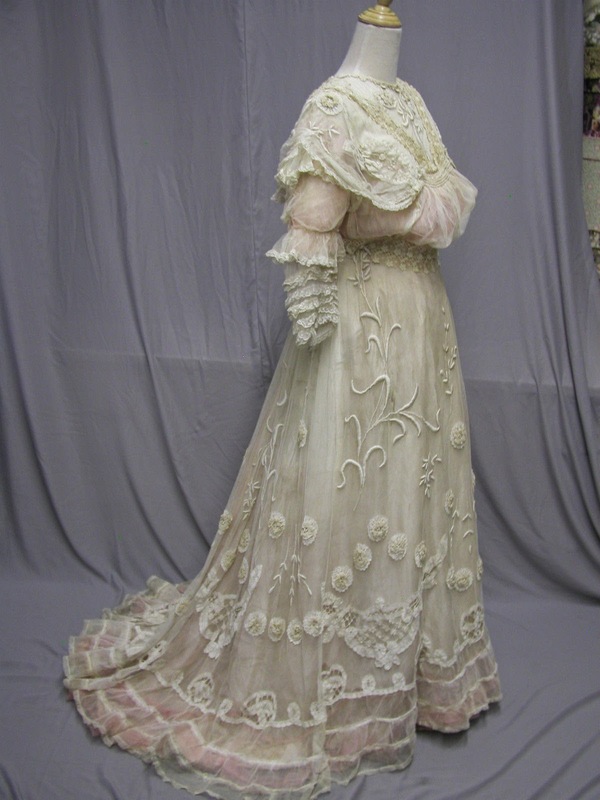 This gown is totally high fashion for that Dowton Abbey fan or perfect for a bride to have a heirloom quality lace dress created. The bidding will start at $0.99 with no reserve. Happy Bidding and check out our other auctions. 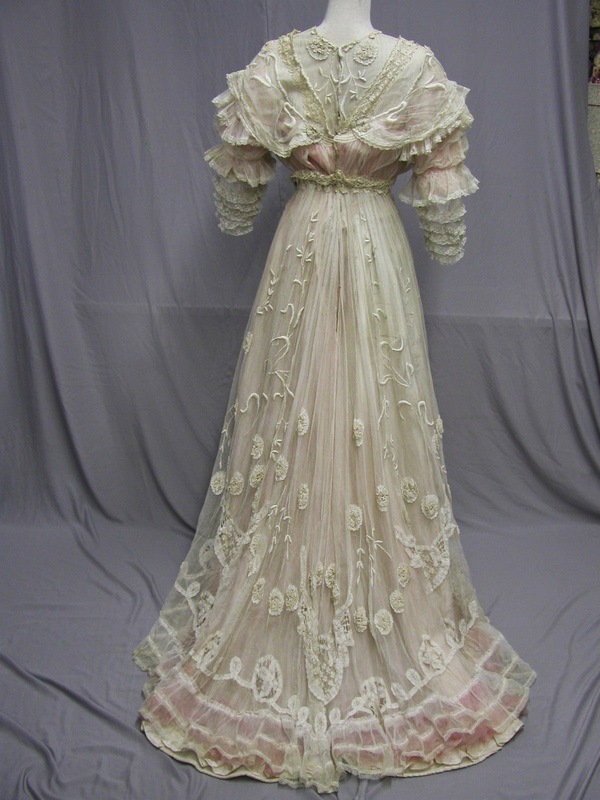 I honestly think this is a few years before 1906 - like about 1902 based on the sleeves and the pigeon bodice. Also, it's about 10 years before Downton even starts so....yeah.